If you know me well, you'll know that despite being otherwise low-maintenance, eyelash extensions are my main squeeze—just brush a bit of mineral sunscreen on my face and away I go for the day. The only problem I have with extensions is they aren't designed to hold up to the wear and tear of frequent, heavy eye makeup never mind trying to remove said heavy makeup, so, recently, when I happened to book a few modelling jobs in one week, I decided to skip my fill in lieu of a lift. I'd seen my friend and makeup guru Lisa Hallam posting her before-and-afters on Instagram and I couldn't believe my eyes. So, I called her up and later that week, I was layin' in her chair. Here's the full scoop. 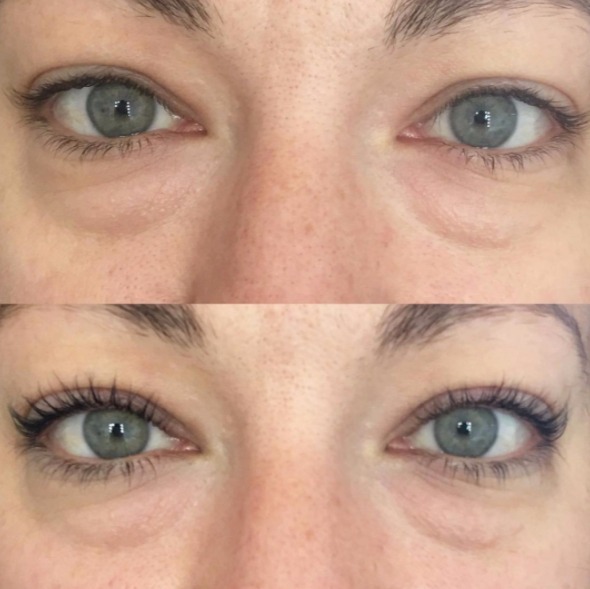 A lash lift is actually a little perm for your eyelashes, so after cleansing my eyelashes, Lisa applied shields below my eyes to make sure the solution wouldn't get into my eyes. She then glued my eyelashes upward with a microbrush, making sure they were nicely spaced before applying the perming solution. 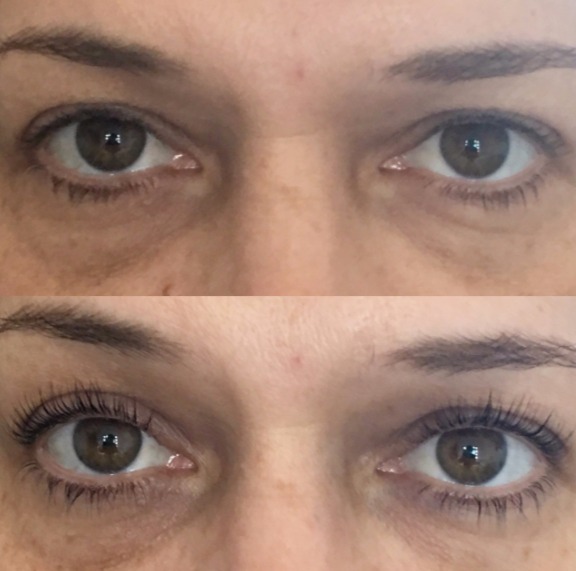 Because it lifts at the base rather than simply curling the eyelashes back, even short eyelashes like mine are bound to look longer. It takes about ten minutes for the perming lotion to do its thing, another ten for the setting lotion to do its, and only three or four minutes for the tint to take after the lashes are cleaned and dried. p.s. I feel like my blindfolded selfies aren't so bad! I opted for my brows to be fixed up a bit whilst I was with Lisa since, perhaps you're aware, she's a brow genius. I am back to extensions but am quite aware that the look, cost, and maintenance of extensions certainly isn't for everybody. A lift and tint service offers the same impact as a curler and mascara without any of the daily annoyance and grows out without that I-need-a-fill stage that I'm guilty of letting happen with my extensions. Lift and tints are especially awesome for summer since you'll be swimming and sweatin' and mascara doesn't always hold up that well in those conditions. 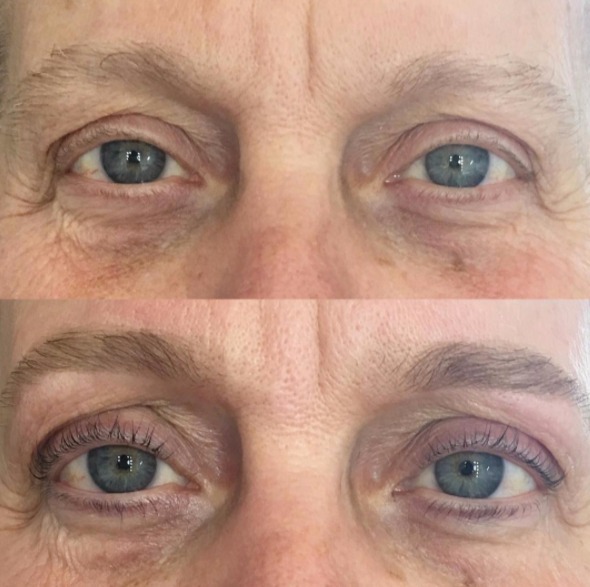 You can expect to spend one hour and $65 for a tint and eyelash lift and for it to last 6-8 weeks. 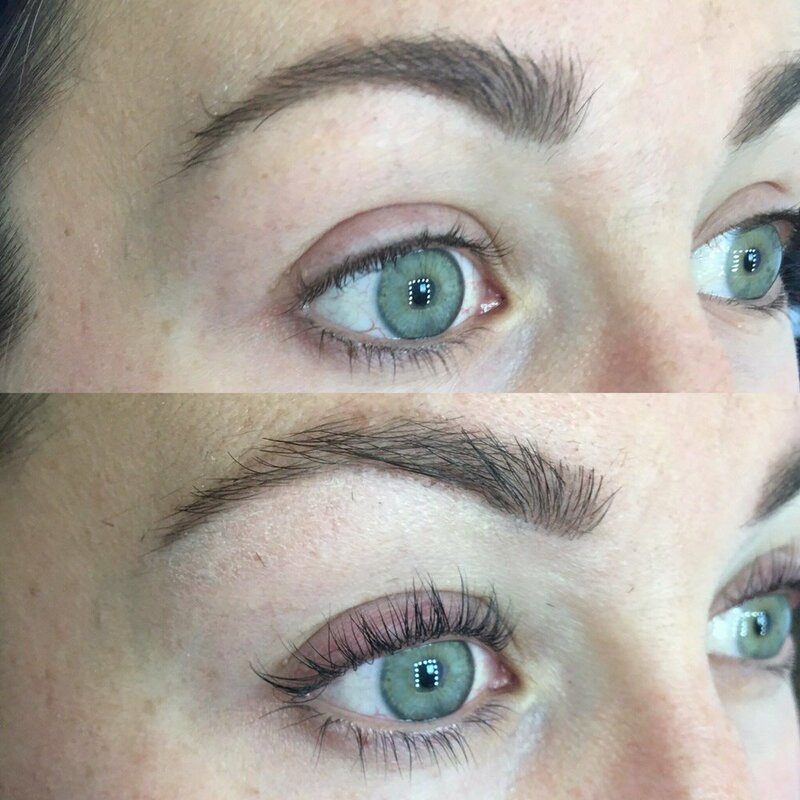 Connect with Lisa Hallam Makeup Artistry via Instagram or Facebook to see more incredible lash transformations and to contact her about a lift of your own.